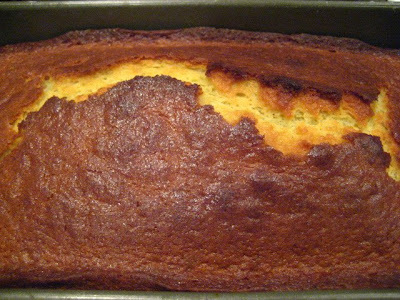 Since I am on a sort of lower fat kick (let's see how long that lasts.....), I made a nice looking tea cake called EVO & Yogurt Cake from Dorie Greenspan's blog Baking With Dorie from a January post. We always have to have cake on the counter, for afternoon coffee drop ins, and late night husband snacks. 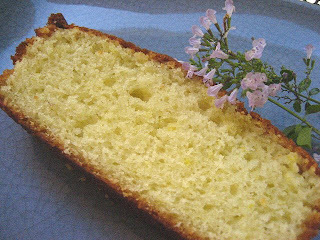 I have made many olive oil cakes, which is an Italian thing, the best ones being from Giada and Michael Chiarello, using 1 full cup of olive oil. I buy the expensive Sicilian olive oil and have been going thru it every other week, and that's a big bottle, and also a big ticket item. It is the price of a VERY GOOD bottle of wine, and I didn't feel like using an entire cup. Dorie's recipe only calls for 1/2 cup of extra virgin olive oil, so I could use my precious olive oil sparingly. It also calls for 1/2 cup of plain yogurt. I followed the directions exactly, and baked it for 50 minutes. It was perfect, with a nice crumb crust and extremely moist cake inside. Very simple, like a tea cake, and so delicious. I can feel the pounds just peeling off of me as I eat this cake! PS. 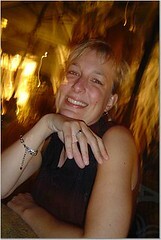 Thank you Pam, from For the Love of Cooking blog for giving me the KREATIV BLOG AWARD! I am honored! I posted the award on the left side of this page! It made my day! I've never made a cake with olive oil before! When I think EVOO I always think pasta, but I'll definitely have to give this one a try! It looks moist and tasty. Wish I could lose a few pounds while eating cake! This looks so good! If I lived close I'd be one of those afternoon coffee drop ins for sure! Us Greeks make cakes often with olive oil and yogurt so this one's a natural for me to like. mmm. yum! And it gets a kudos from a greek man. Can't go wrong with that. 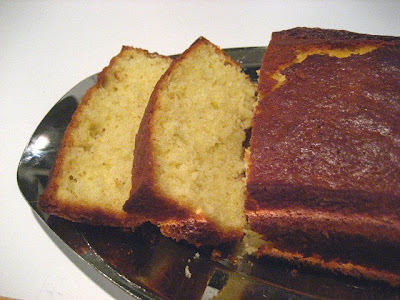 Wow, this lovely cake looks like a butter-filled pound cake! I can't wait to try it. Congrats on the award! I've yet to make an olive oil cake, but I'm convinced that I'm missing out :). YUM! I love olive oil cakes. They taste so rich even without all the butter. Your cake looks beautiful!